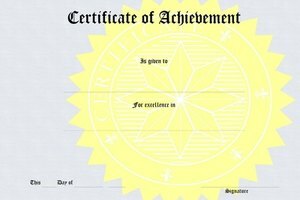 Make certificates to recognize faithful service or spiritual milestones. 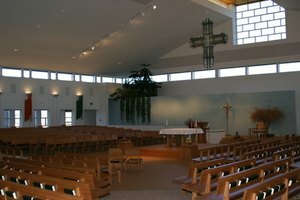 A church certificate can recognize a person's faithful attendance or distinguished service or mark significant spiritual moments in life. Congregations confer awards and honors for perfect attendance at worship or Sunday school, participation in vacation Bible school and for active involvement in church life. Certificates may also be records of baptisms, First Communions and other stages of their spiritual growth. Microsoft Office PowerPoint provides templates to help you create certificates to celebrate milestones for those living the Christian faith. Open Microsoft Office PowerPoint. Go to the Microsoft Office Online Templates site. Type "certificates" in the "Search Templates" field or click on the "Award Certificates" link. 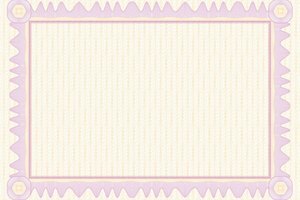 Choose a certificate template. Insert or replace text on the template. Type "Award," "Recognition," "Certificate" or similar words as the heading. State that the certificate is being presented to a recipient. Identify and spell correctly the full name of the recipient. Provide the presentation date. 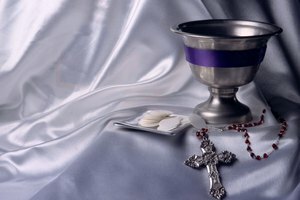 State briefly the reason for the recognition or certificate, such as perfect worship or Sunday School attendance, baptism, First Communion or distinguished service to the church. Create a signature line for the minister. Go to the "Format" menu and click "Background" to add a logo or a picture that illustrates the certificate's theme or other graphics as a background. Find "Background fill" and click "Fill Effects." Click the "Picture" tab and "Select Picture." Highlight the desired picture or graphic and click "Insert" and "OK." Click "Apply." Add your church's seal. Move your mouse pointer to the graphic or seal on the template and select it. Press "Delete." Go to the "Insert" menu. Select "Picture" and "From File." Find the directory where you have saved or stored your seal. Highlight the file and click "Insert." To print the certificate, insert heavy-weight paper into your printer. Use white if you have a color certificate. For black text and graphics, any color paper should prove suitable. Go to “File” and select “Print.” Click on “Properties” in the print window. Choose color printing to print a color certificate. Otherwise, select black and white or gray scale printing. Select "Best" for print quality. Do not use a printer that cannot handle heavy-weight paper. Read the manual for your printer to learn the paper weight range for your printer. Select "Color" in your printer's "Preferences" or "Properties" menu for color graphics. Raines, Christopher. "How to Make Church Certificate Awards." Synonym, https://classroom.synonym.com/how-to-make-church-certificate-awards-12082254.html. 29 September 2017.